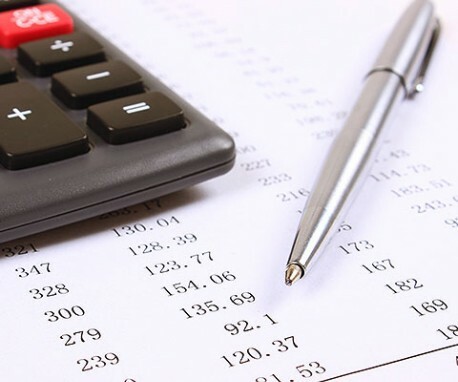 With budget season in full swing, hotel owners and operators everywhere are getting down to the nitty gritty and making important financial decisions about 2013. What is important to note, however, is that those budgeting decisions about next year are heavily informed by the results of this year, and even the smallest financial details are intimately and inextricably connected to operational realities. As all experienced hotel-management professionals can attest, making a great hospitality destination more profitable first requires making a great hospitality destination. The context and perspective afforded by year-end budget-making decisions is the perfect time to take a critical assessment of your asset and evaluate how successful your management team has been at reaching that goal. As owners and operators work through the budgeting process, they are smart to take a long, hard look at whether their operational, management and financial strategies are working effectively to optimize resources, capture greater market share and deliver a consistently outstanding guest experience. What exactly can the budgeting process reveal about management and operational success? What are some of the warning signs and key indicators that a hotel might be underperforming? And, if it is underperforming, when and how do you determine that it is time to make a management change? It is critical to note these points during the budgeting process. Don’t just evaluate hotel performance in a vacuum, assess performance relative to the larger marketplace and consider how your numbers stack up against your competitors. Numbers don’t lie. Momentum is also a critical (and often underappreciated) factor. If you are moving in the right direction, less-than-ideal performance in the near term may just be growing pains. If you are moving in the wrong direction, however, that is a clear red flag that requires action. No excuses While the recession took its toll on the hospitality industry as a whole, revenue per available room is on the rise across the industry, and other metrics are also moving in the right direction. This is a time when expectations should be rising, and tolerance for excuse-making based on a lackluster economy should be falling. Part of the danger of coming out of an extended economic downturn is that owners and operators alike can become lulled into lowered expectations and accept mediocrity. With RevPAR and occupancy projections up across the board, owners should be raising their eyebrows—and expectations—accordingly. Is your franchise flag at half-mast? If your hotel is consistently not meeting brand standards or is struggling to achieve them, it might be time to rethink your management strategy. A thorough review of customer-service scores should provide benchmarks for performance and insight into management focus. Certainly, any brand red zone items are always cause for concern, but equally as important is management’s method of addressing and resolving these issues. An antagonistic approach is rarely effective. Instead, management should be continually focused on achieving the best return on the franchise investment. While every employee makes valuable contributions, the most important member of the management team is the GM. The right GM can make all the difference, with inspirational leadership, great communication skills and the strong ability to instill and promote a culture of teamwork, service and accountability. The results of that level of leadership can make an impact that is visible all the way down to the bottom line. Is your upkeep keeping up? It is not exactly news that poorly maintained hotels that have had an insufficient investment in upkeep and infrastructure tend to struggle. If an end-of-year review for an underperforming property shows the opposite, however, that might be even more of a reason to raise an eyebrow. A significant disparity between the way a property looks to guests and the way its performance looks on paper can be a sign of less-than-successful management. The best hotel management professionals understand the value of clear and consistent communication. Many of them rely on regular and comprehensive property evaluation reports that encompass all aspects of a hotel’s monthly performance. Keeping the lines of communication open with consistent and timely reporting is vital. If communication is strong, then when owners and operators sit down at the end of the year to review the budget, there should be no surprises. Budget time is the time of year when owners and investors are more focused than ever both on what their performance has been and what their projected performance is going to be. It is a chance to take a longer-term view, integrating year-to-date and end-of-year projections into long-term patterns and analysis. As a result, this is also the time when month-to-month performance excuses come to roost. Your budget is an opportunity to step back and look at the macro numbers and determine if you are meeting expectations. Owners who are making that evaluation need to use past performance as a common-sense guide. If your management company projected $14 million in 2012 and instead you did $9 million, ask yourself whether you have any good reason to believe that $13 million during 2013 will be any more accurate. The consistent ability to identify and capitalize on revenue-management opportunities is not about luck, it is about designing and executing effective strategies aimed at increasing specific revenue channels. End-of-year financials should show that management professionals are working efficiently with the brand to maximize resources and optimize results. If management teams are regularly evaluating (and re-evaluating market data) and adapting their strategy accordingly, they will be able to capitalize on available rate categories that will show up in end-of-year breakdowns. If a thoughtful and analytical look at the numbers reveals that a management change would be beneficial and likely provide a boost in performance, timing quickly becomes an issue. For owners that want to see a new management company in place on the first of the year, the time to act is now. Experienced management professionals will move quickly, but because most management contracts include a 60- to 90-day termination clause, waiting until the holidays to pull the trigger on a change is almost always a non-starter. If a change is required to see results, you might need to, well, book it.